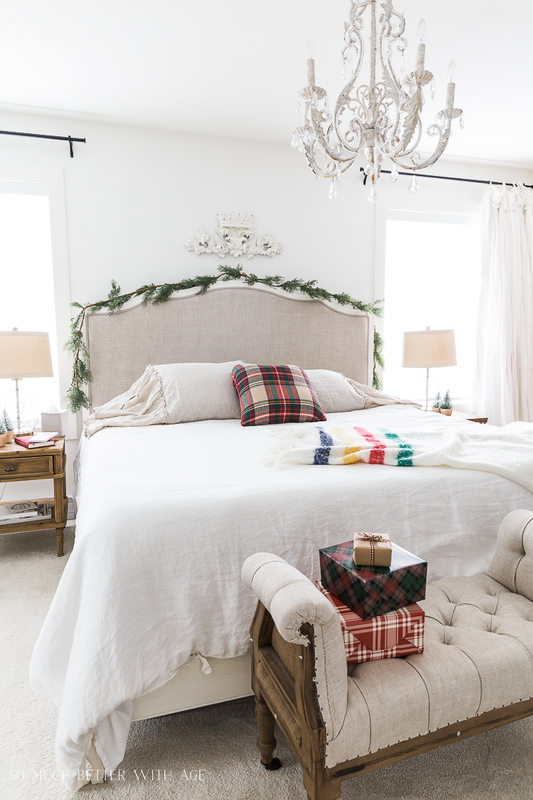 Here are some tips to show you to add simple Christmas decor in the bedroom. 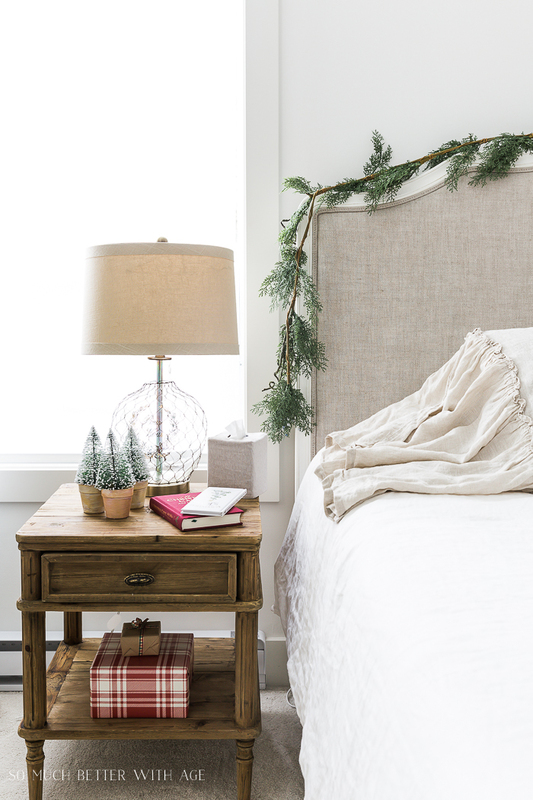 Decorating for Christmas in the bedroom should be easy and simple (if done at all). 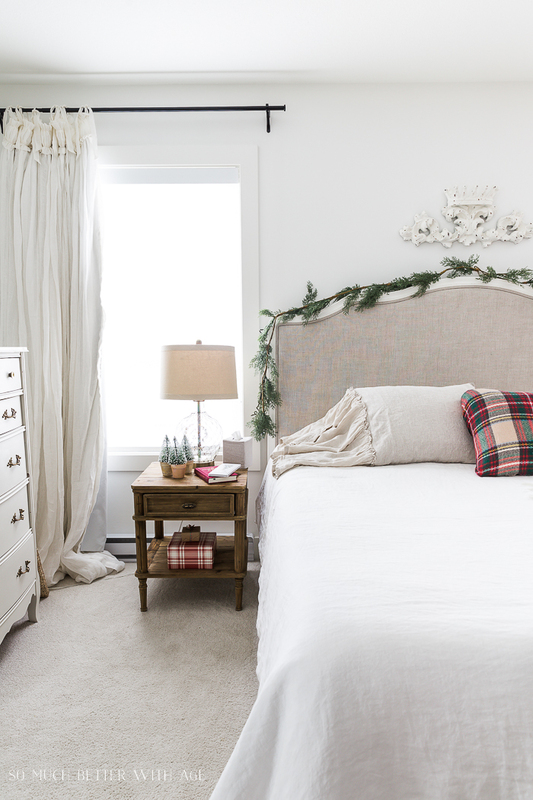 I wanted to add a touch of greenery and plaid to our room as I started that last year and it felt so cozy! 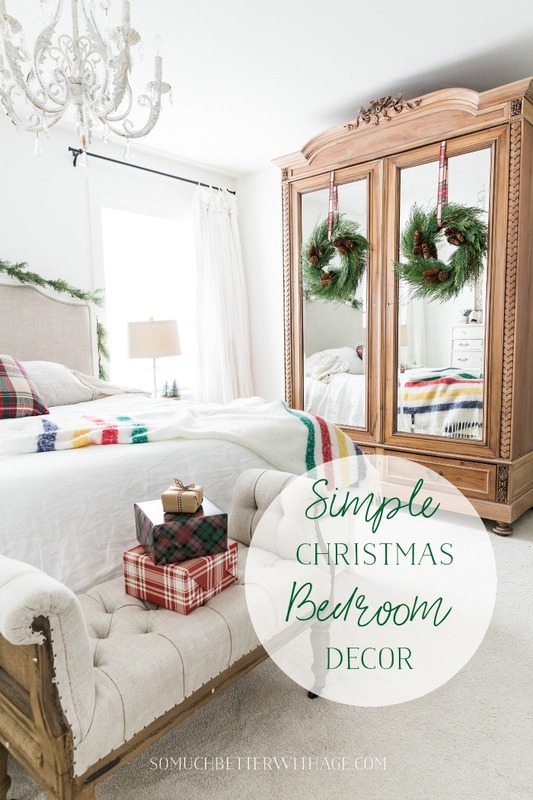 Today I’m joining the Seasonal Simplicity Christmas tour hosted by my friend Krista of The Happy Housie. 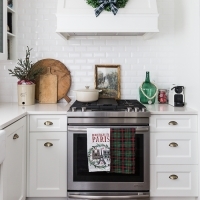 I’ve shared my mantel, living room, kitchen, dining room decorated for Christmas with a plaid theme and today is one of my last Christmas tours. 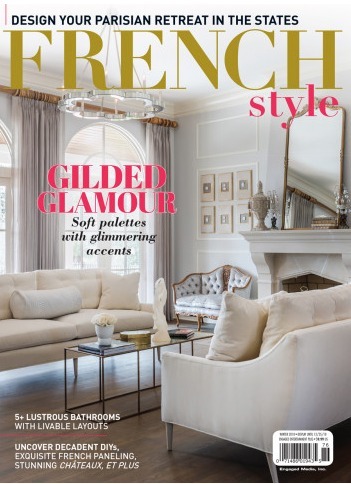 If you are coming over here from Lemon Thistle, welcome! 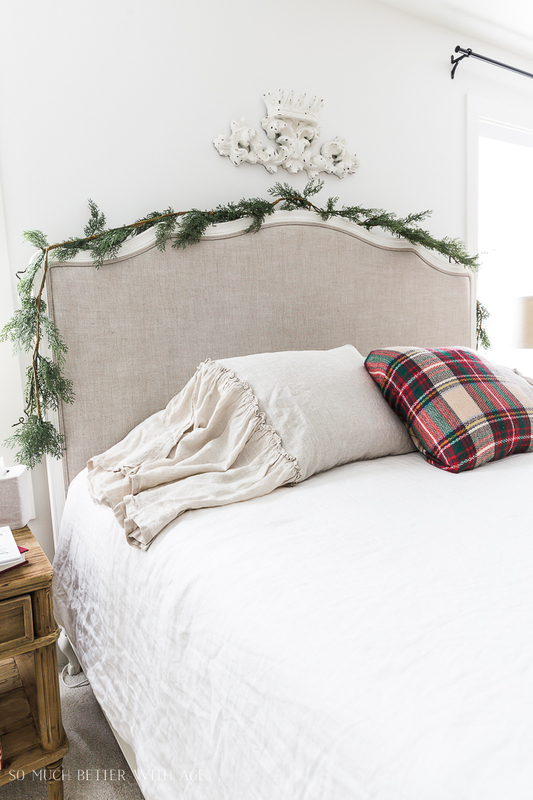 Adding garland to the bed frame is the most simple yet beautiful way to add Christmas decor to your bedroom. 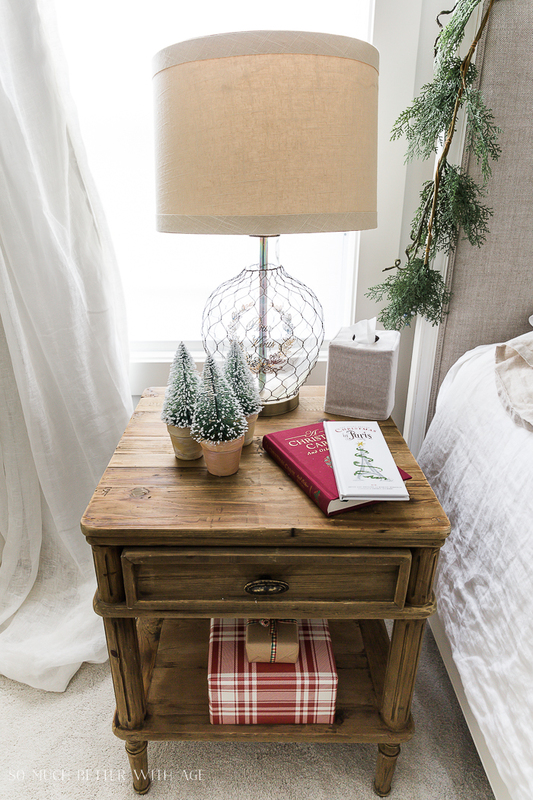 I also added a few simple bottle brush trees to my bedside tables along with a few Christmas books (and my favorite Christmas in Paris book). I strung two garlands across the top of the bed frame and just twisted them in the middle. They are just resting there but I did secure them with a couple of pieces of masking tape. I couldn’t find a plaid pillow anywhere so I wrapped one of my blanket scarfs around a pillow. 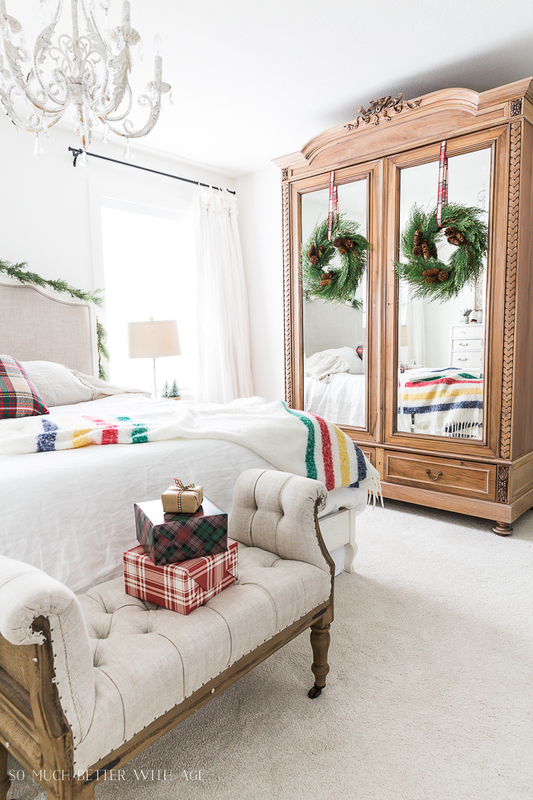 I hung some faux evergreen wreaths on the armoire again this year but this time with some plaid ribbon and my favourite cozy Hudson’s Bay blanket. 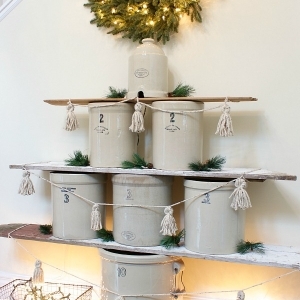 I hope you enjoyed my simple Christmas bedroom decor. 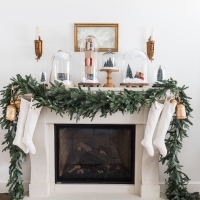 To continue the tour, head over to Taryn Whiteaker and be sure to visit all the other Christmas tours below. And the sharing is happening all week long! 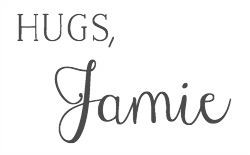 Thank you for sharing your bedroom Christmas tour Jamie and being a part of the tour. I could just about add plaid to anything. 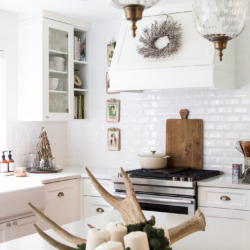 I love the pops of plaid! Just a little color really makes a difference, very pretty. Thanks for sharing!! 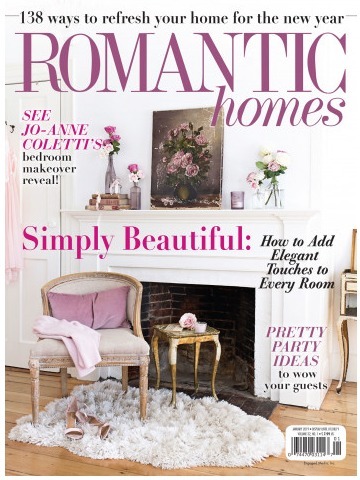 It looks great both simple and sophisticated!! 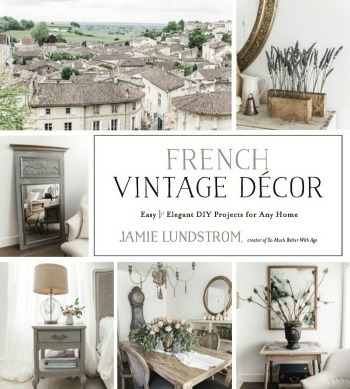 Total inspiration for next year!